Welcome to PassTheRealEstateExam.com, provided by the leader in South Carolina real estate education. . .the Real Estate School of South Carolina! We offer the premiere online study site for the South Carolina Real Estate Pre-Licensing Exam and the South Carolina Broker's Exam. Our goal is to help you pass the licensing exam on the first try. Our proven track record of success assures you the best preparation possible. The exams provided here at www.PassTheRealEstateExam.com will prepare you fully for the difficult questions you can expect to see on the actual PSI licensing examination. 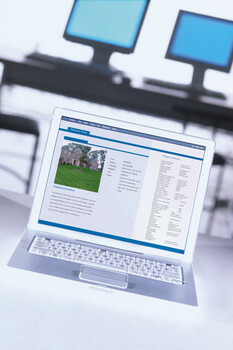 We offer questions from all of the actual exam categories, including: Property Ownership; Land Use Controls and Regulations; Valuation and Market Analysis; Financing; Laws of Agency; Mandated Disclosures; Contracts; Transfer of Property; Practice of Real Estate; Real Estate Calculations (Math); and Specialty Areas. You may study at your own pace and focus on areas that may require additional practice. Each full exam package includes hundreds of questions, built to simulate an actual license exam. Your exam experience gives you full customization control and immediate feedback on your areas of strength and weakness. Our database of exam questions is up to date all the time! New laws and content changes are immediately incorporated into the question set. These exams are a terrific supplement to your class notes and materials used throughout your prelicensing or broker's preparation course. Based in Columbia, South Carolina, our team of question writers and instructors has helped thousands of students pass the real estate exam. Established in 1977, the Real Estate School of South Carolina has more than 32 years of experience. Professionals who know real estate choose us why shouldn't you?! With many exciting features, including full exam review and performance charts, you will be well prepared for your state exam! If you would like to try a FREE practice exam, choose one from the list below!